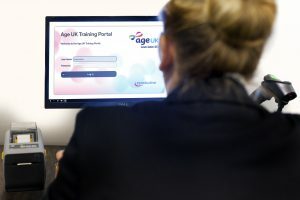 Age UK chose Eproductive’s Gift Aid Training Platform, which provides a series of online training modules designed to comply with HMRC’s training and record keeping requirements. Last year 25,000 tests were completed by Age UK staff and volunteers, with some volunteers, not rostered to work every week, completing their training off site on tablets or laptops. This method of training has proven to be so successful that Age UK have extended the Gift Aid Training Platform, releasing training modules covering key Health and Safety compliance and HR areas such as identifying and dealing with Safeguarding concerns.